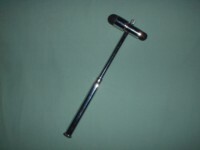 Chrome plated handle with 2 sided rubber head. 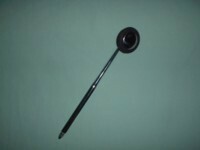 Handle conceals ""screw-in brush"". Overall legnth 7 1/4"".